Overview: Join us on May 11 for our annual First Responder, Wounded Warrior, & Military Appreciation Barbeque event! It all begins with a Group Ride. Staging at 9:45 am with Kickstands Up between 10 and 10:30am. Don't be late! Route TBD. Lunch will be served starting at around 11:30am. 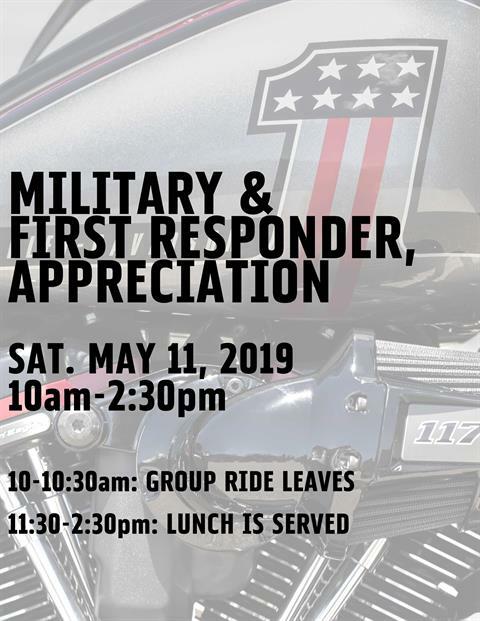 Come show your support for those who get there fast, those who keep us safe, and those who keep this beautiful land of ours free!